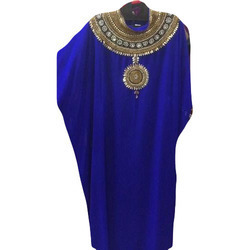 Prominent & Leading Exporter from Mumbai, we offer blue ladies kaftans, ladies kaftan, ladies kaftans, ladies fancy kaftans, ladies stylish kaftans and ladies designer kaftans. 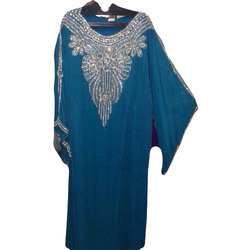 We are catering to the demands of customers by offering these Blue Ladies Kaftans in different styles and designs. 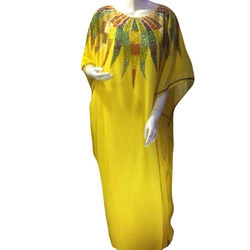 Counted among the illustrious organizations, we are providing a comprehensive range of Ladies Fancy Kaftans. Our distribution network enables us to dispatch the offered kaftans on-time. 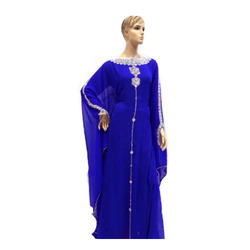 Since our commencement, we are engaged in offering the wide range of Ladies Stylish Kaftans, which is provided in various colors and patterns. Under the guidance of expert designers, these Ladies Designer Kaftans are designed with perfection in tandem with the current market trends.